Hip injuries (e.g., sports hernias, impingement, labral tears) have recently seemed to become more widely diagnosed and treated within the athletic population. Femoroacetabular impingement, and other radiographic hip abnormalities, may be a common source of hip pain and risk factor for hip osteoarthritis but unfortunately how common these radiographic abnormalities are remains unclear. Therefore, the purpose of this study was to identify the prevalence of radiographic abnormalities among 95 professional soccer athletes (75 males [on average 26 years old], 20 females [on average 24 years old]). All athletes were screened during routine preseason examinations. A portion of this screening included assessing for radiographic hip abnormalities. Fifty-five percent of the male and 25% of the female athletes reported a history of prior hip/groin injury. Seventy-two percent of the male and 50% of the female athletes had some evidence of abnormal hip radiographs, consistent with impingement. Radiographic abnormalities identified had extremely high incidences (76 to 100%) of bilateral hip involvement. Clinically, it appears that there are an extremely high number of radiographic hip abnormalities in a professional soccer population. The prevalence is more than tripled the rate that was found in a general population study. The number of abnormalities in this current study far exceeds the number of athletes that have had previous hip/groin injury. One hypothesis is that the repetitive functional activities associated with playing soccer may be putting these athletes at risk. It would be interesting to see a comparison of symptoms with the presence of radiographic abnormalities. 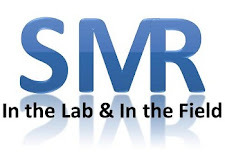 The prevalence of radiographic abnormalities is only slightly lower than a collegiate football study previously posted on SMR, which also discussed the fact that there were abnormalities found in 95% of a collegiate football population despite being largely asymptomatic. If an athlete is asymptomatic, despite the presence of radiographic abnormalities, should this change our clinical action? It would also be interesting if the athletes with radiographic abnormalities were followed prospectively and their symptoms monitored at various time points. Within this population, evidence of hip osteoarthritic changes was found in 5 to 25% of the athletes. Specifically within hip osteoarthritis, bone shape may be one of the leading causes of osteoarthritis. Radiographic abnormalities may be precursors to hip osteoarthritis, ultimately providing a window of opportunity for early disease modifying interventions. Has anyone had patients who have had a hip injury or surgery and are trying any homeopathic interventions? Also, clinically, hip pathologies present very similarly to sports hernias. It may be important to take a look at all possible contributors to athletes’ symptoms prior to deciding on what the culprit is. Has anyone had any experiences with athletes who have had hip or sports hernia diagnoses? This is a great article discussing the implications of abnormal hip abnormalities. The results from this study, and from the general population and football studies, are extremely surprising. It seems like as clinicians we may be treating an athlete for a hip injury, when in reality it may be a structural abnormality. It also raises the question why fix something that isn't broke? According to this study, many of the athletes who have abnormal hips are a-syomptomatic, so as a clinician why would you treat something that isn't causing pain at the time. I think it would also be interesting too look into what the effects are of having 'abnormal hips' on not only hip injuries, but lower extremity injuries as well. For example, could athletes who have abnormal hip x-rays be at an increase risk for a lateral ankle sprain or an ACL tear. Great points Kyle. I agree that I would not likely change anything clinically if someone is asymptomatic. I think looking at the entire lower extremity and its susceptibility to injury based on hip radiographic abnormalities would be interesting. But I don't think we should stop there. I think we should also look at Lower Back injuries. Thanks for your comments Kyle. Which means physical therapy as an alternative option for treating hip pain makes sense to me now. Surgeries do not necessarily improve patient's symptoms. One must understand the true nature of hip osteoarthritis.